Hat Attack is celebrating its first anniversary and in honor of this milestone, The SC is wearing a hat created by Diane Harty HERE from Frisco HERE which is a short drive from Vail and is referred to as the “Main Street Of The Rockies.” I stopped into Diane’s studio with Mr. J on our trip down the mountain several weeks ago. July’s headpiece is the “Halo,” made of straw and stripped rooster feathers. It is a major “face-framer” and makes me feel alive with its dramatic movement. In the spirit of this mission, July’s hat is not in my possession, but for sale directly from Diane Harty, along with other beauties that are created in this magical studio located high in the Colorado Rockies. Diane’s contact information is available on her website HERE. Style Crone does not benefit financially from this post. However, Style Crone benefits greatly by the wearing of this magnificent and energetic piece of art, if only for a delicious few moments in time. The generous and gorgeous Bella of The Citizen Rosebud HERE has activated the coupon code HATATTACK, giving you 15% off any purchase of $10 or more from her Etsy Shop HERE. Check out the fresh-picked vintage treasures that she has to offer! 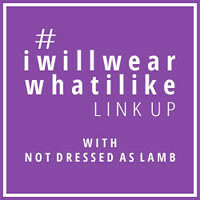 The SC is linking up with Patti’s Visible Monday HERE at Not Dead Yet Style. Patti is lovely, as she mixes old with new. Please display your hat, headwrap, headpiece, fascinator, hair flower, headband or other adornment for your head that you adore, give The SC a JULY HAT ATTACK and kindly link to Style Crone somewhere in your post. Can’t wait to see the beautiful contributions that you share throughout the next week. Participation will be open through Monday, July 7th. Ohhhh Judith… How utterly beautiful. I am overwhelmed. I would love to buy your hat but won’t. I am still so at the start of hat wearing as you can read in my post of Barcelona. I bought the hat in this Hat Attack there, inspired by you. Unfortunately I am no good with hats (yet). Still have an aweful lot to learn. Like how to keep it on my head in the wind. What sort of hats suit me and what doesn’t. How to keep my hair from becoming a mess after wesring a hat. Today I’m meeting a friend for lunch at the Indianapolis Museum of Art. P will show photos of art seen in Rome — I’ll show photos of this hat! Ah this took my breath away. I though immediately about calling Bill Cunningham so he could feature you and this glorious hat! Thank you for starting, and wow! continuing for one year so far – this wonderful link-up. Wow. Every month since I discovered your blog I think “Judith has outdone herself.” This month is no exception. Thank you for “Hat Attack” and thank you for being a walking work of art. Not to mention an inspiration for those of us who are no longer spring chickens. That is a pretty amazing hat! You ladies do so much to keep hats in the accessory conversation ….so elegant yet fun! Interesting that you should be writing this now about not needed to own every fabulous hat that you see; that wearing it once or twice is enough. I’ve been feeling this way about clothing, and not needing to keep things even though they are beautiful. That said, the piece of art you’re wearing is spectacular, and with the portrait collar (I think that’s what it is) dress, you are a just gorgeous. Wow, what an amazing hat that you wear so well! Wow! Amazing hat. You look a million dollars in it. Exquisite; worthy of an haute couture moment! It’s the perfect piece for Hatt Attack’s first anniversary. A true work of art, a stunning example of the milliners craft. So generous of you to share with all other hat lovers. Happy anniversary for Hat Attack and thank you so much for hosting and promoting the wearing of hats. I may be the teensiest bit prejudiced, but I think my friend, Josephine (Chic at any Age), looks so stunning. Her Royal Ascot chapeau and entire outfit (see her Blog) is just beyond fabulous. One of these days I’ll buy myself a nice hat or two, and then I can join in again. Until then I can admire so many lovely contributors here. The halo hat is just beautiful, and you are THE person to model it. I wish Diane much success. I love the fact that you’re sharing resources for millinery art. This piece is unbelievably magnificent!! Breathtaking, in fact. You model it to perfection, too. You are AMAZING! I am so glad I found your blog (quite by accident). It is enjoyable to read your emails and I look forward to it every time I open up my mailbox! What an inspiration you are and how you must enjoy hats and fashion. Thank you for sharing. Mary in AZ. Judith I adore your borrowed hat. The feathers look better on you than the rooster! I’m not sure how practical it would be, with wind and glasses and trying to talk to people, but it certainly would keep the flies off here in Oz! I share with you a hat I made for our Winter, which can be turned into a cowl. Thanks for a year of amazing hats!! I feel the same way about the wearing of beautiful hats, some are ones that I wear for sun protection, some I grab quite often (my panama hats) while others are bought and worn for some special occassion just to collect dust. Great idea to start giving away and (selling). There’s only certain women who can wear and pull off that beauty you’re wearing here and you are one of them. So much expression in one piece, love it! Hi, I love this idea because I love hats! I haven’t got anything as beautiful as your Halo though, it is stunning and you look stunning in it. Stunning hat! You look just beautiful as always. I am so pleased to have a hat to share for the first time this month. OH! That is such a WOW hat Judith! Happy 1st anniversary to Hat Attack. My, how the time flies. Each month in the past year, I avidly check out the many contributions to Hat Attack. You are always the hostess with the mostest…as it should be! Oh my goodness what a show stopper! Amazing hat which certainly is no shrinking violet. I also love the way your outfit leaves the decollete bare, leaving more room for the hat feathers to pop up. THAT HAT IS SO COOL IT’S A WONDER YOU DIDN’T HAVE TO WEAR WOOL MITTENS TO PUT IT ON!!!!! I have to say that your hat looks like a very happy ferris wheel will all the little tiny people perched on the ends of your feathers giggling like mad. Incredible hat and ensemble. Absolutely vogue-worthy! Wow, that hat’s a stunner, Judith! You are just amazing. Thank you for hosting Hat Attack over this past year (is that all??). You’re hat is so pretty .love it.just a question, on your hats that you’re “weeding” out ,are you putting them up for sale.I would love to own and wear one or two of your collection.